Since I have started my Sunday Dinners/Grilled Cheese dinners, I have not really had a bad grilled cheese. Sure, some were better than others, but none were duds. Well, that has all since changed this evening. 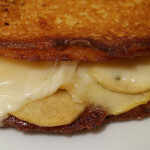 It has been hours since I took the last bite and I am still thinking about why this grilled cheese was not as great as I had hoped, even though it had potato chips in the grilled cheese. After reading the ingredients above, you may be thinking that there really weren’t that many ingredients but believe me there were. The sliced tomatillos could have been left as they did not add that much. They are very tasty though! 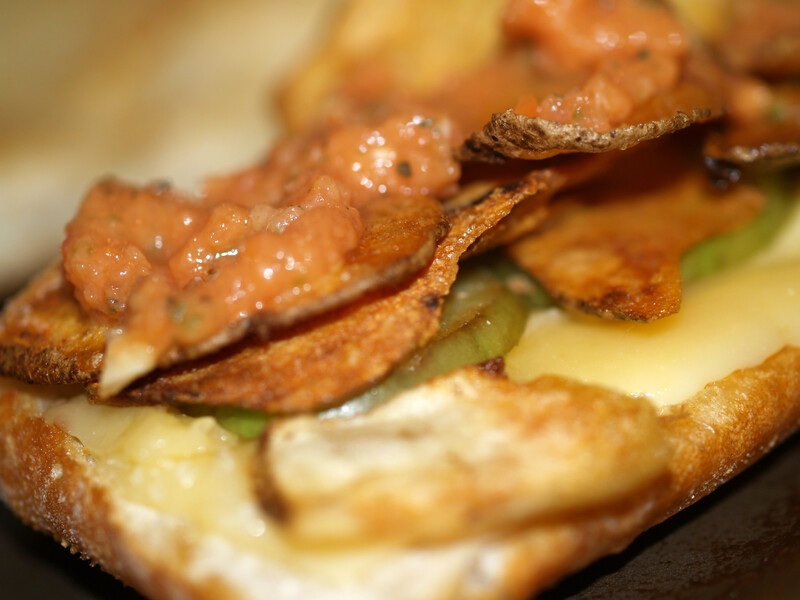 The crunchy homemade potato chips, unfortunately, got lost in the crunch of the ciabatta bread. 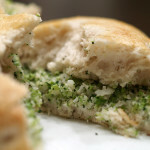 Using a softer bread may have worked much better so that the potato chips could have taken center stage. The homemade spicy ketchup was a last minute ingredient and was not totally thought out. It was good, and had a nice kick to it, but was not perfect. The only main difference from my salsa was the consistency, which is not at all how I had hoped it would be. I may have to revisit this idea in the future when I have time to truly flush out my ideas. In my opinion, it is worth a shot. 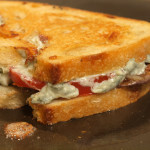 Not all grilled cheeses that I cook can be winners. Last week’s was probably one of the best, while this week’s was one of the worst. It happens and will continue to happen as I create a new grilled cheese each Sunday night. This time, the pieces, including the potato chips, did not come together to form a cohesive sandwich. 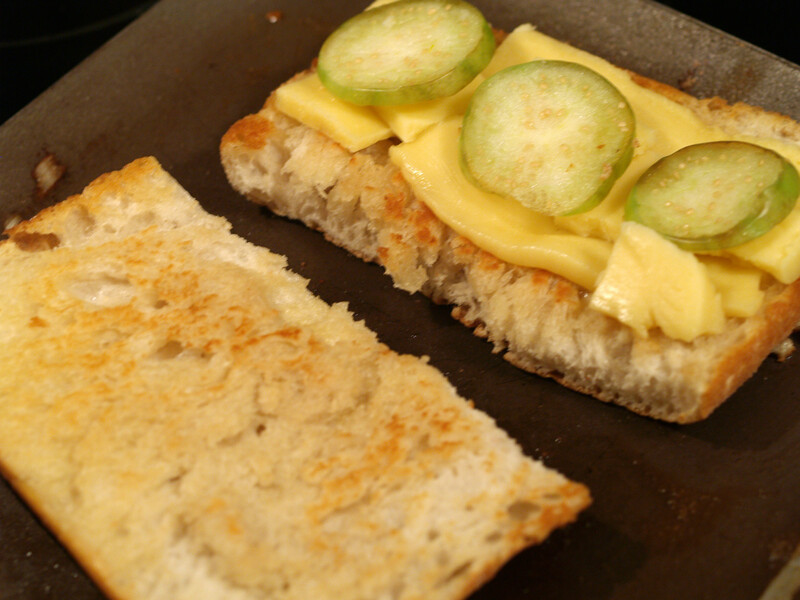 Instead, when paired together, the individual ingredients overshadowed each other, making only a “meh” grilled cheese. 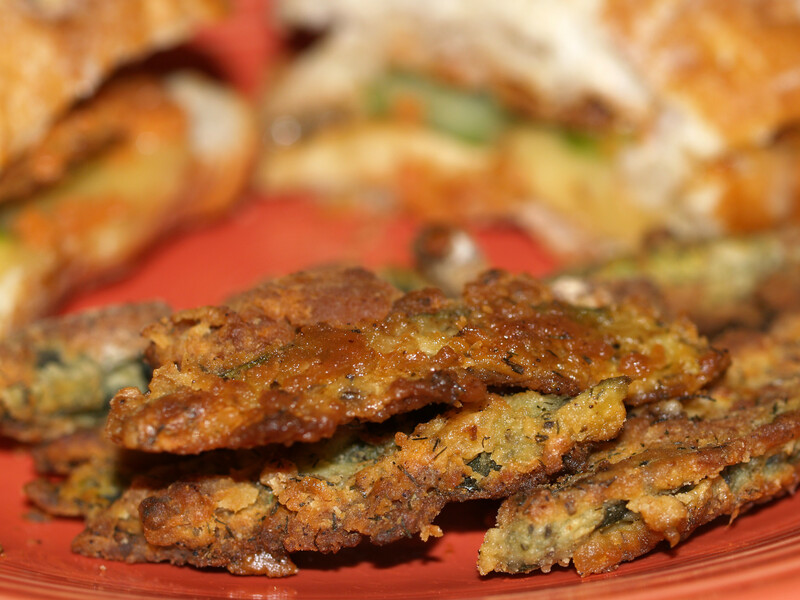 Probably the best part of this evening’s dinner was the side dish, created by the sous chef: fried zuchini. Although a tad over battered, they were very delicious. 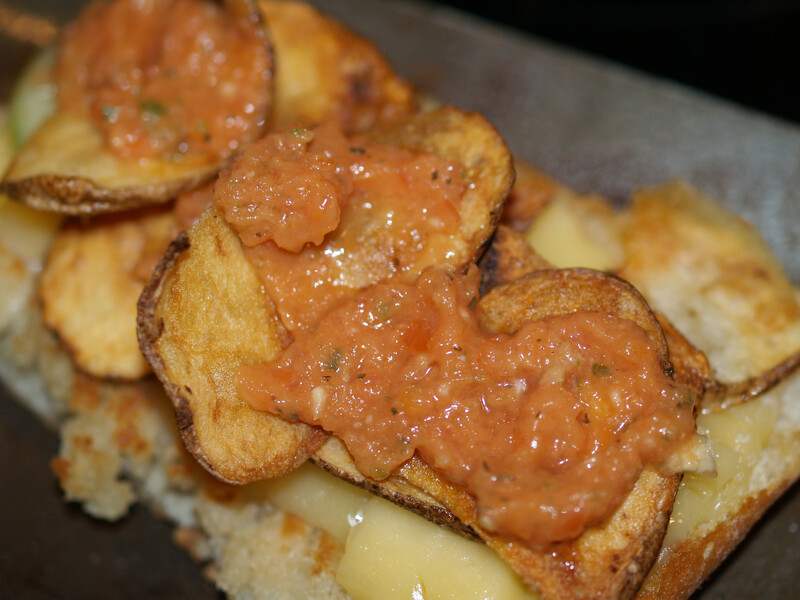 Posted in Grilled Cheese and tagged baked, C Plus, chihuaha cheese, ciabatta, ketchup, potato chips, potatoes, tomatillo. 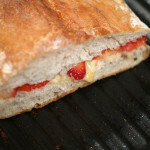 Hmm luks yummy… Made me hungry after seing it. 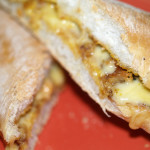 Good post to educate people about quality behind cheese sandwiches.